The Economist reports on the studies conducted by Dr. Sonja Lyubomirsky, a psychologist investigating correlations between parenting and life satisfaction. [Dr. Lyubomirsky] found that, regardless of the year the survey was conducted, parents had higher happiness, satisfaction and meaning-of-life scores than non-parents. ... Moreover, a closer look showed that the differences in happiness and satisfaction were the result of men’s scores alone going up with parenthood. 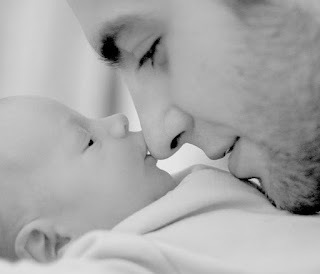 To all of our readers who are fathers: may your children bring you continued happiness and satisfaction. Happy Father's Day! Happy Father's day, if you don't have a kid yet you're not living a truly fufilling life. in other words, go f yourself singles.